The Knightro Team is currently looking for students to join and be apart of Team Knightro! 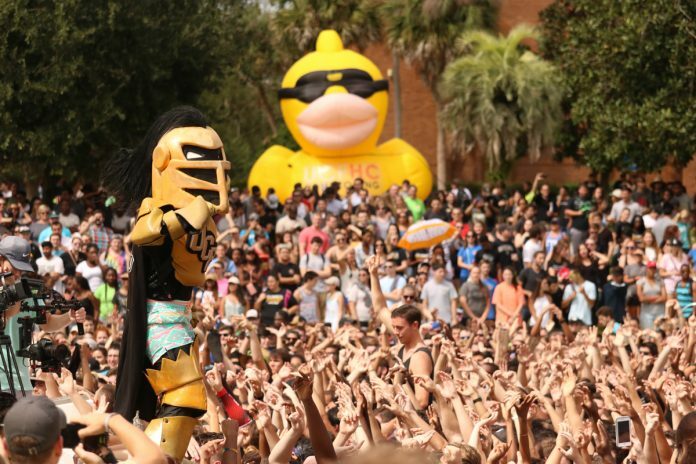 Since Knightro’s debut at the University of Central Florida in 1994, Knightro has energized crowds at sporting events, met countless students and filled everyone around him with school spirit. On April 7, the team will be holding an info session at 5 p.m. at the Burnet Honors College. This info session will expose interested students to a day in the life of a Team Knightro member and what being a part of this team entails. From being Knightro’s bodyguard to marketing and even putting on Knightro’s suit! “Being Knightro is being the biggest celebrity on campus,” Former Knightro Danielle Mathis said. “Walking around as me, no one calls out my name, but once I put on that suit, I can’t even get anywhere without people high fiving me, stopping me for pictures, it’s like instantly becoming a celebrity,” Mathis continued. 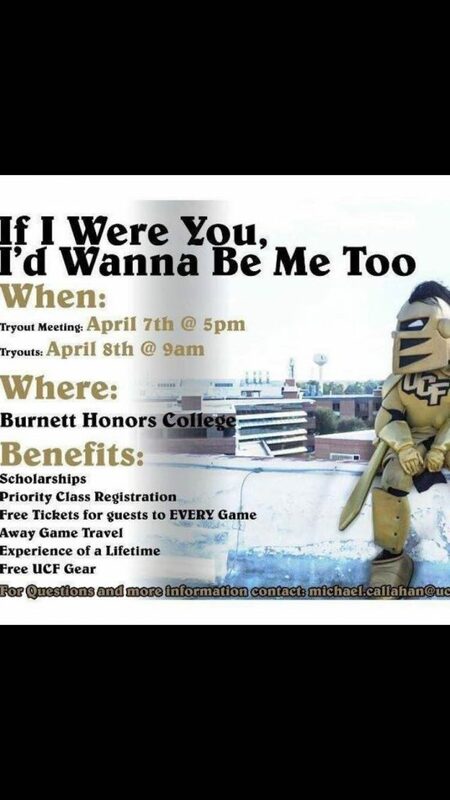 On April 8, students who went to the info session will have the opportunity to try out for Team Knightro at the Burnet Honors College at 9 a.m. There is no experience necessary to try out. But, Former Knightro Jesse Stokes shared some insight into what the team will be looking for out of potential members. “The person has to be willing to make a fool of themselves, and have the desire to entertain people,” Stokes said. “They have to be willing to work as a team to develop a character that is bigger than them and take pride in that. Being funny is a plus,” Stokes continued. As Knightro, students are considered student athletes and receive many special perks. Some of these perks include scholarships, priority class registration, free tickets for guest to every game, away game travel, free UCF gear and most of all, an experience of a lifetime! When asked about how being Knightro has influenced his life, Kyle Jaimes talked about how he recently applied to the DeVos Sport Business Management Program, and that being Knightro gave him a unique look side of the marketing of UCF athletics for each sport. “It’s always a talking point. People say you were a mascot and always want to hear stories about that. So it just opens a lot of doors,” Jaimes said. Any further questions about becoming Knightro can be emailed to the Knightro Mascot Squad coach, Michael Callahan at michael.callahan@ucf.edu .